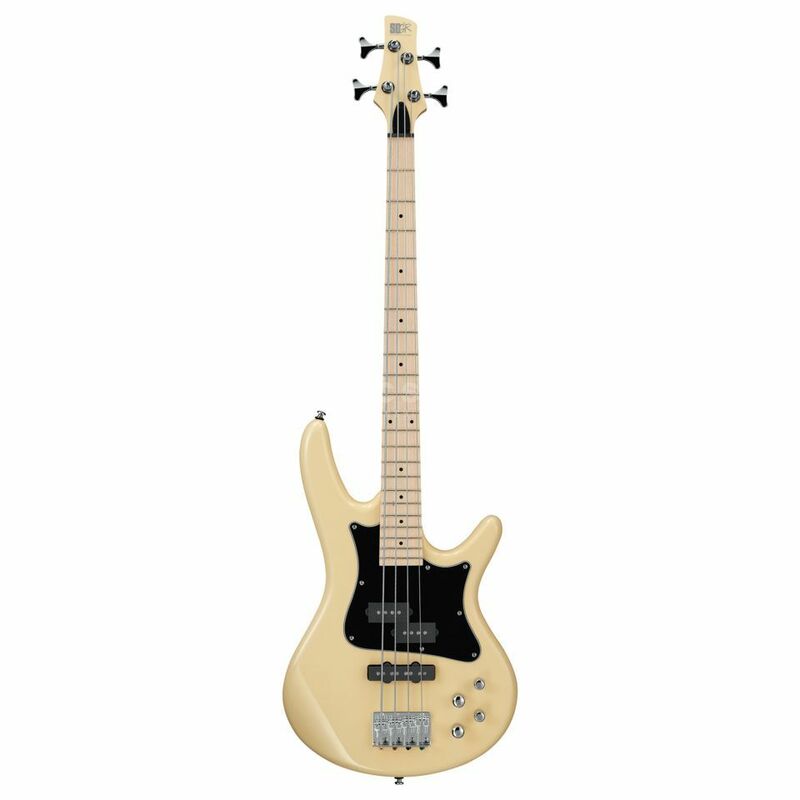 The Ibanez Standard SRMD200K-VWH Mezzo Vintage White is a medium-scale electric bass with a high level of playing comfort and a characterful sound. Based on the 32" scale, Ibanez uses a light poplar body in the familiar ergonomic Soundgear design and a bolted-on maple neck, whose slim profile allows comfortable playing over the entire maple fingerboard. On the bass amplifier, the PJ pickup setup consisting of Ibanez Dynamix P and Dynamix J pickups together with the active 2-band tone control provides a versatile sound spectrum that has the right grooves for almost every musical style. Last but not least, the Ibanez Standard SRMD200K-VWH Vintage White features an Ibanez B10 bass bridge and precise die-cast tuners. The Ibanez SR Mezzo SRMD200K convinces with its 32" medium scale and high playing comfort.